With the past three months being a whirlwind of activity in many different counties it was nice to return home and go do a fun event with my younger bro Ben. Having both had an awesome time at the RS Aero nationals last year we were eager to return to the great atmosphere and racing, making the drive up to Abersoch, in Wales, with much excitement a few days beforehand. It was Ben’s turn to repay me for all the free taxi rides I had given him over two years and so he drove, with me being in DJ/entertainment in the passenger seat. Some amazing scenery on the roads to Abersoch. Arriving on the beach in Abersoch we were greeted by cloud and rain - not ideal! Luckily the weather did clear and things were quickly made up when we found out our charter boats were brand new, so it was a delight unpacking everything from the wrapper - thanks RS Sailing for the amazing service. One of my personal touches - elastic pulling the downhaul and outhaul up and off. I also fitted a smaller, thinner mainsheet (just personal preference) and put my watch in front of the mainsheet boom blocks. Unfortunately the weather forecast did not look good at all for the 4 days, with some very light winds predicted with little chance of a sea breeze. Indeed the first day greeted us like this! No racing. Luckily the sun came out for the next day and we finally got some wind. Over the next two days we got in some good racing, with extremely tough conditions in winds ranging from 3-12 knots. Unfortunately there was no wind on the last day and no sailing but after putting myself in a good position after the previous two days it was an amazing feeling to win the Aero nationals for the second year in a row! Bringing the trophy home for the second year in the row! Returning home to Swanage it was amazing to see the paper covering my story at the Aero nationals. It was, however, much tougher than simply ‘easing’ to victory!! The following day after getting back I jumped straight back into my training. Below is a photo of my favourite cycling route, a challenging 23km route with over 500 metres of climbing over a mixture of terrain and beautiful landscapes. Highly recommended! Whilst home for those few days I also did some coaching in the RS Vareo with a local sailing club member. It was great fun and always useful to learn and understand how every boat ‘works’ and what I can do to drive every little bit from the boat. I also went out for a big day in the Laser just off of Durlston Head with a friend of mine, Ben Flower. It was great windy training with huge waves to test our boat handling skills. Learnt some valuable mode settings in conditions where knowing when to go high or low was vital. Check out the video of Ben and his wipeout! 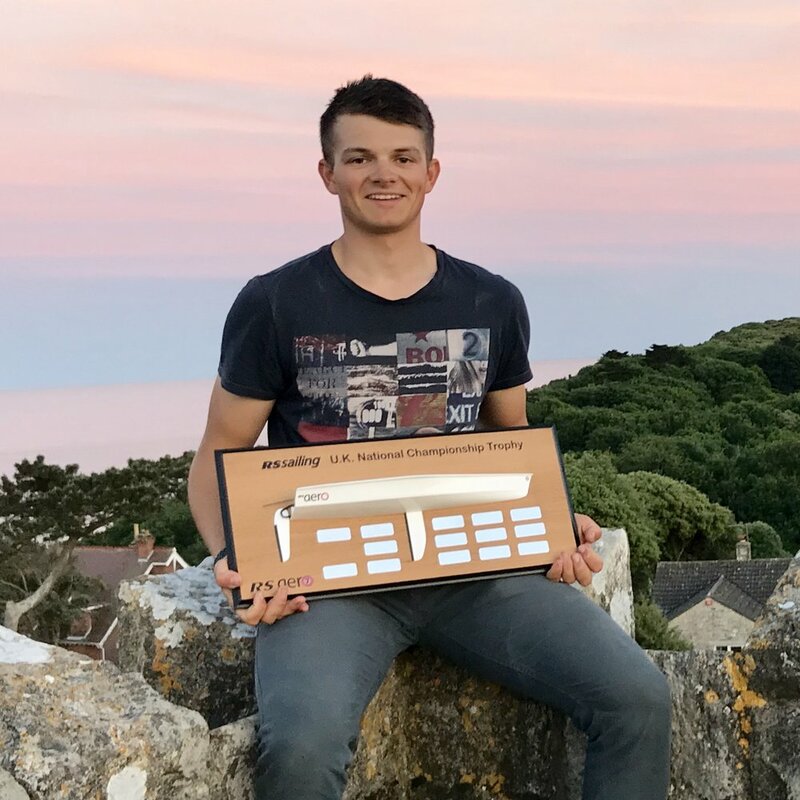 Straight back into my Laser I went to a youth squad camp in Weymouth for a couple of days before setting off to table to Germany for Kiel Week. After driving for an entire day from England to Kiel in Germany I was greeted with cold rain (there seems to be a trend with rain on my arrival!). Luckily some of the showers passed and I was able to set up camp in my tent. 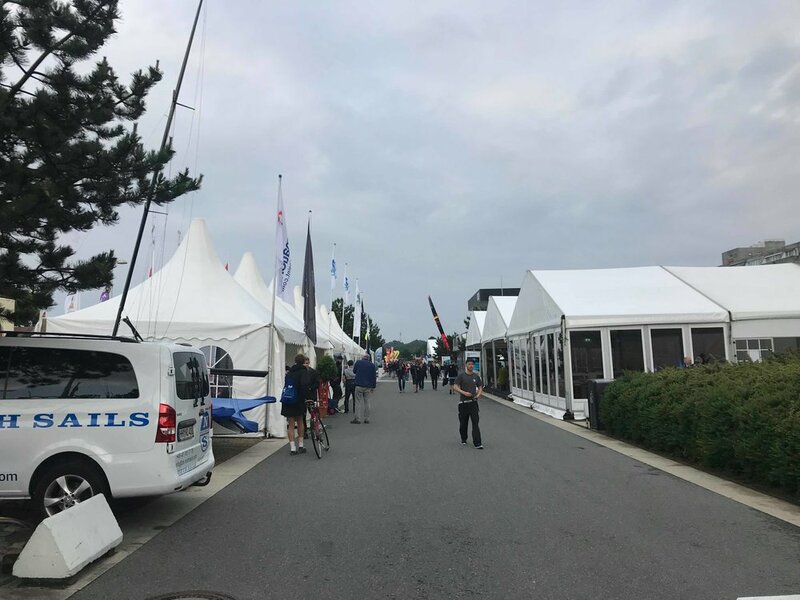 Kiel is great for camping as the site is right next to the dinghy park and the facilities are good so it’s usually the one camping event of the year. Kiel Week is much more than just sailing and so the place is really alive and buzzing with people from all over the world. This means the ‘sailing club’ is also awash with pop up stalls of all kinds, live music and a great atmosphere all round. Fireworks on our first night there. Tent life isn’t too bad! It was nice to be next to my brother Ben with his 470 next to me in the boatpark. After a couple of days of lovely sunny conditions and shifty but entertaining training we set about racing for 5 days. Well it certainly turned out to be a windy, wet and cold week! 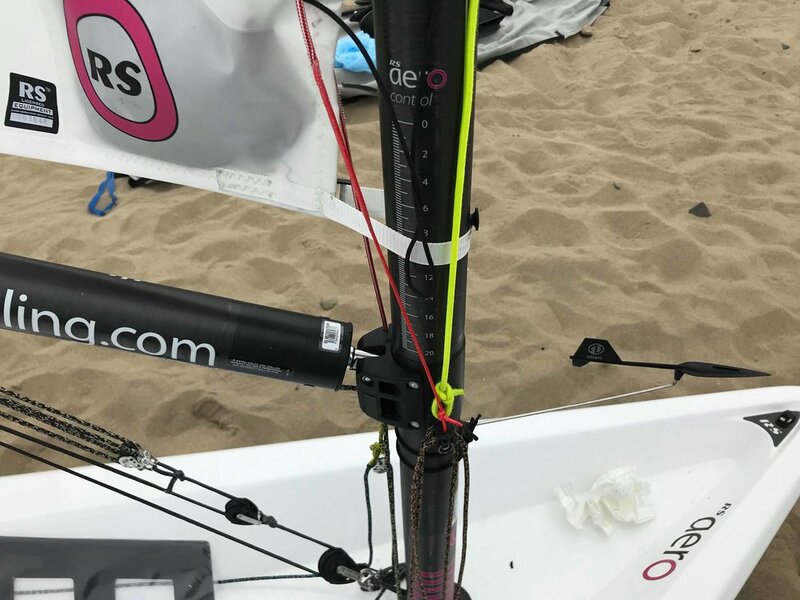 I had a strong start to the regatta and whilst I had a few minor hiccups along the way I finished 19th overall/120, a respectable results given the seriously tough fleet this year with numerous Olympians in the racing. I was really happy with my thinkings having improved my process execution considerably as well as my starts, only getting one bad start during the week. However still lots to improve! Returning back home to Swanage in baking heat and sun, if not a touch too little wind! 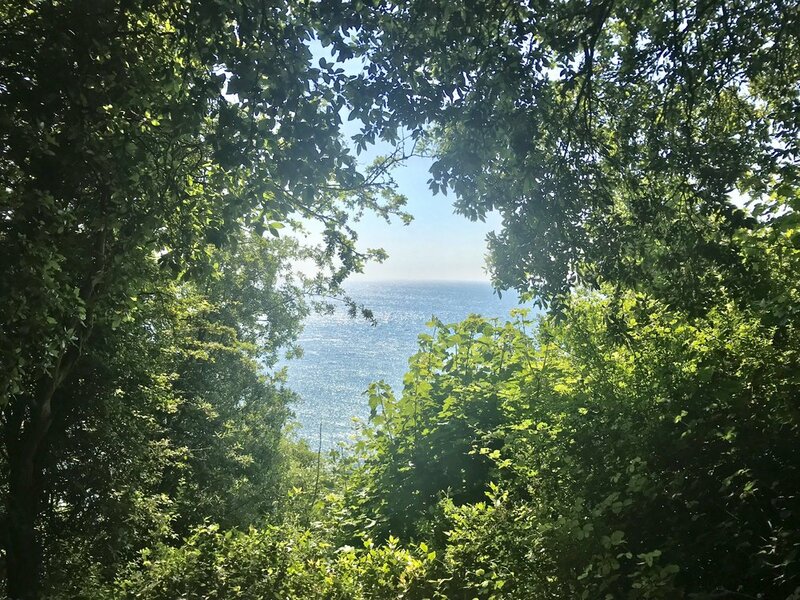 With the UK summer now in full swing there really is some beautiful scenery around back home. So that’s the end to another big month. July looks to be even bigger with training out in Aarhus, Denmark, and the Laser nationals at the end of the month.